My husband loves tamales. My mother-in-law Anna makes them in huge batches and brings them up when she visits. It’s a whole involved process that she tried to teach me once (long ago when I was first married), but the thought of authentic cooking was a total brain overload for me back then. I found this recipe and knew I needed to give it a whirl. 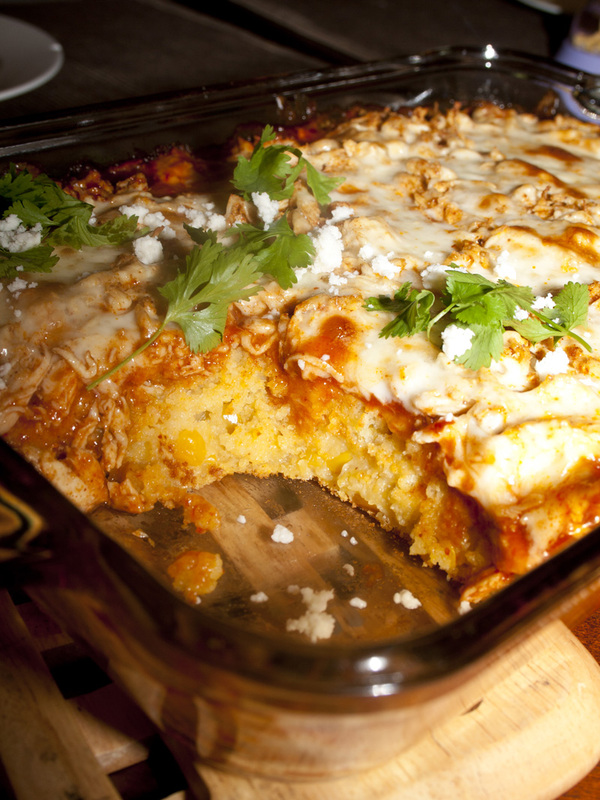 It starts with a rich cornbread base filled with chilies, topped with enchilada sauce, spiced chicken and cheese. If you like Mexican food, you will love this! Easiest recipe ever. Perfect as a backup dessert during a dinner party I recently had. One of my guests couldn’t eat the main attraction (which was very sad because the chocoflan was incredible). 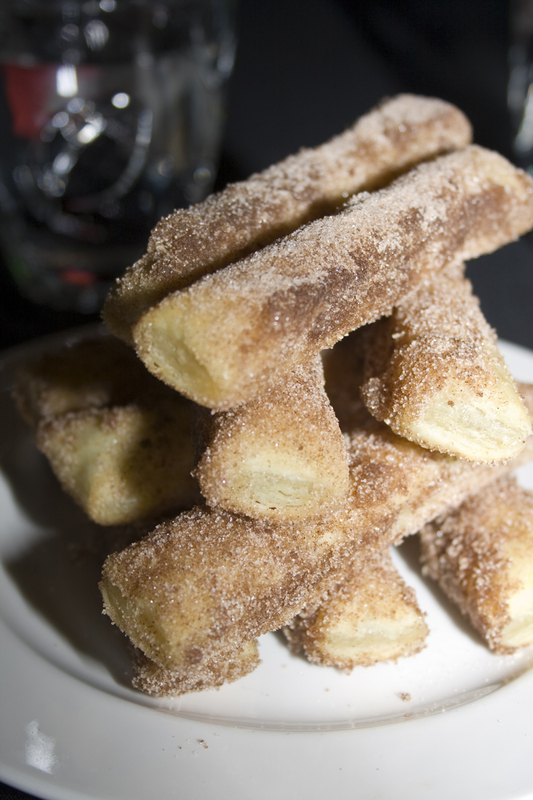 So, I made these quick and easy churros for him. A quick bake, dunk in some butter and a roll in cinnamon sugar. These airy delights were absolutely delicious! Preheat oven to 450 degrees F. Unfold and cut puff pastry sheets in half lengthwise, and cut each half crosswise into 1-inch-wide strips. Place strips on a lightly greased parchment paper-lined baking sheet. Bake 8-10 minutes or until golden brown (mine only took 8 minutes). Meanwhile, combine sugar and cinnamon. Remove pastry sheets from oven and dip in butter, then roll in cinnamon-sugar mixture. Let stand on a wire rack 5 minutes or until dry. This is one of those desserts that grabs you by the taste buds and screams “I AM AWESOME!!”. It is absolutely gorgeous, way easier than it looks and tastes beyond incredible. Sometimes baked goods go past the sum of their parts. This is one of those times. 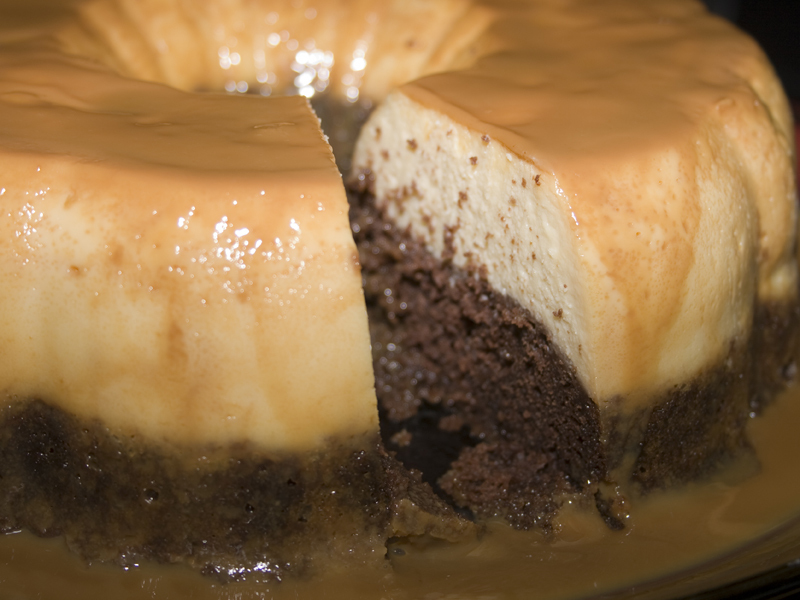 There’s rich chocolate cake, creamy light flan and decadent Mexican caramel. All together it is a show stopping, taste explosion that you will fall in love with upon first bite. 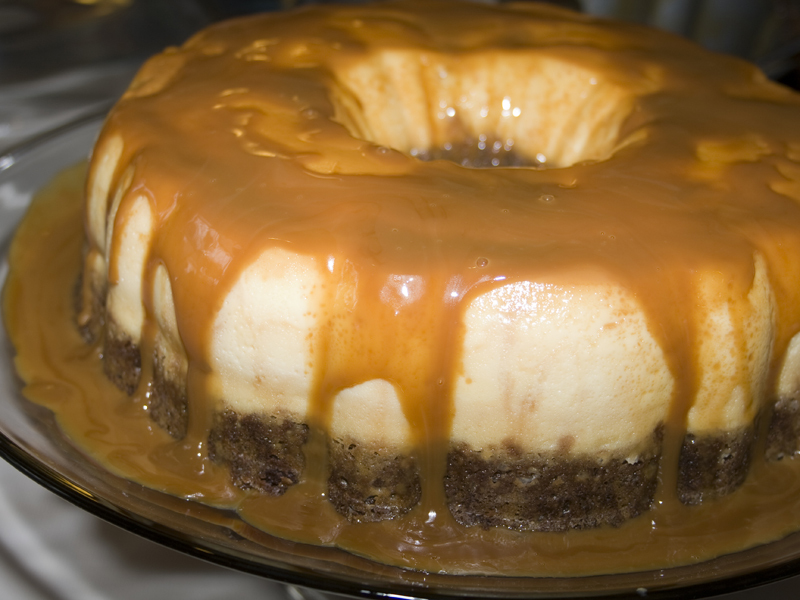 Actually, I loved it as soon as it came out of the pan all dripping with golden sweet caramel. It’s also a magical cake. The layers invert as it’s cooking – I don’t know how, probably something to do with how dense each one is – but it’s really cool to see happen. Truly remarkable. 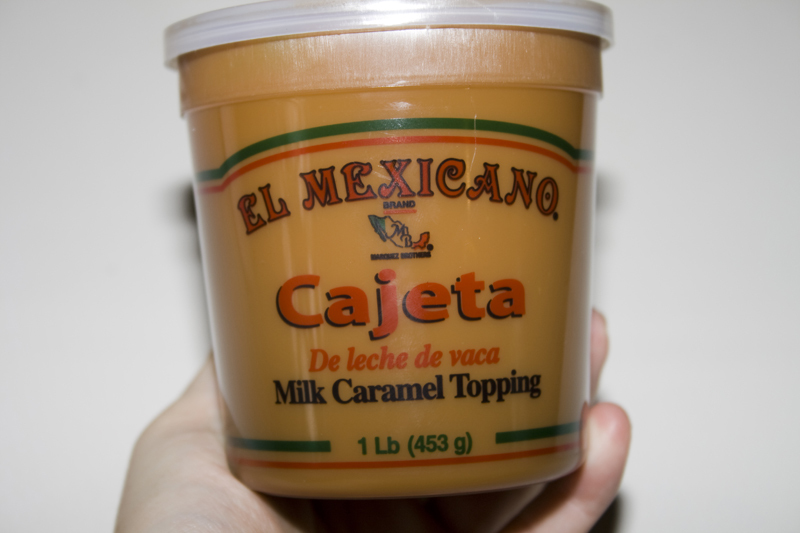 The caramel in this dessert is a specific kind of Mexican caramel called cajeta. I’d never heard of it before, but had no trouble finding it at my local grocery store. It is the devil. By that, I mean it’s superbly good. Thick and creamy and just delicious. It’s really not fair to even compare with any other caramel topping. So, get this if you can find it! 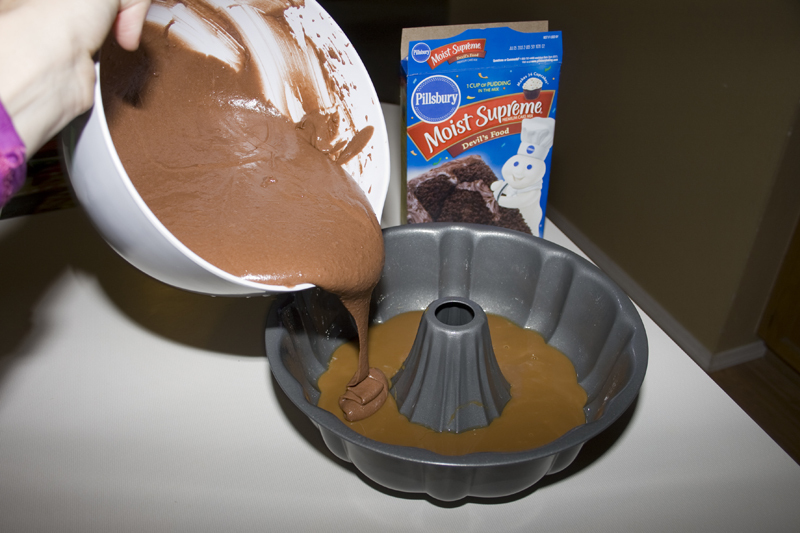 You pour the caramel into the bottom of a greased bundt pan. Then, you make a devils food cake batter (from a box!) and pour the batter on top of the caramel. Blend up your flan ingredients and pour (carefully) over the chocolate cake batter. I say carefully because your bundt pan will be very, very full. To the brim full. Cover tightly with foil. Super tightly. I used several pieces of foil. And place bundt pan in a large roasting pan. Then, fill roasting pan with hot water to a depth of 2 inches. This was a lot more water than I thought. I’m glad I measured. Super slowly, put your pan in the oven and cook for two hours. Yes, it’s a long time – but it is so worth it. I promise. 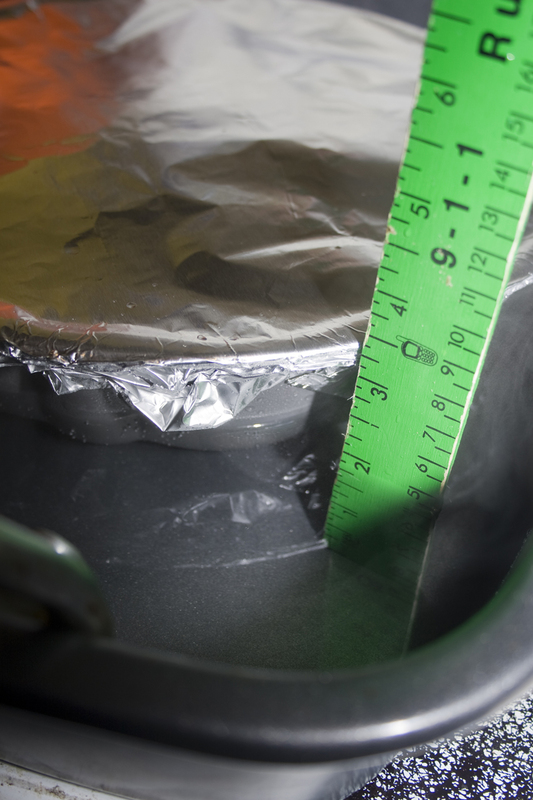 Allow to cool slightly then remove the foil. First thing you’ll notice is that the cake is now on top instead of the flan on top (and that it looks a little strange from cooking right up against the foil). Second thing (if you’re me) that some of the cake spilled into the hole in your bundt pan. Not to worry! Taste that part! 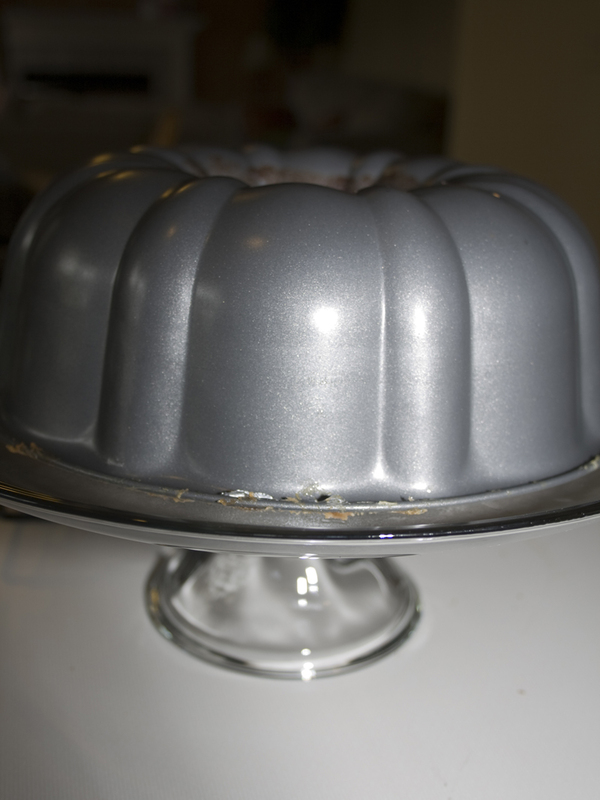 Invert the pan onto a serving platter, give it a little shake and (deep breath) remove the bundt pan. I was actually nervous during this step. Felt like I was meeting a boyfriend’s parents or something. It was a little exhilarating. 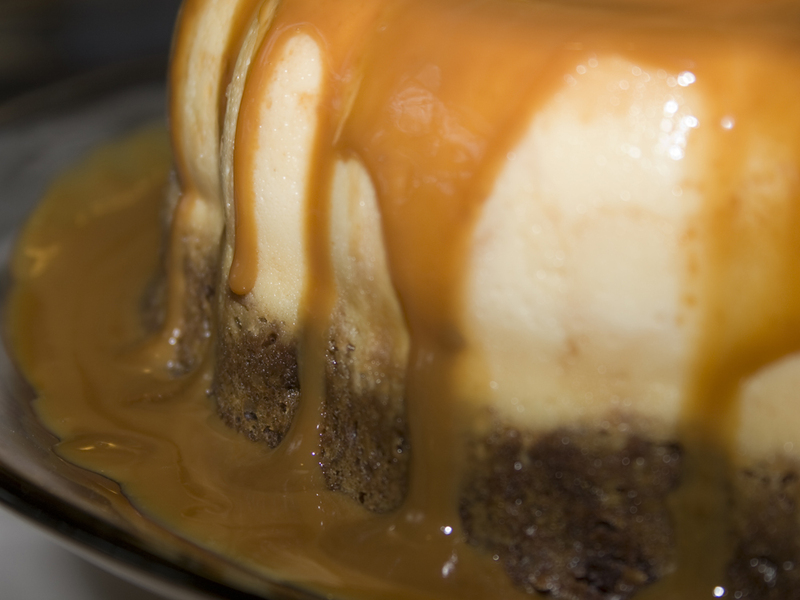 The payoff, rich caramel cascading down perfectly formed flan and puddling around sweet-scented chocolate cake. Oh. Baby. Be still my heart. That is one gorgeous dessert. It tastes even better than it looks. Perfectly balanced, not too sweet, delicate textures and just delicious. Forgive the sub-par pic of the interior. I was so stinkin excited to eat this, I almost forgot to even take one. We also had guests over for dinner, so I was serving and just trying to get one halfway decent shot before we could all dig in. I’m including it anyway because I wanted you all to see the layers. Spray a large 12-cup Bundt pan with nonstick coating. Soften the cajeta in the jar in the microwave and pour into the prepared pan. Prepare cake mix according to package directions. 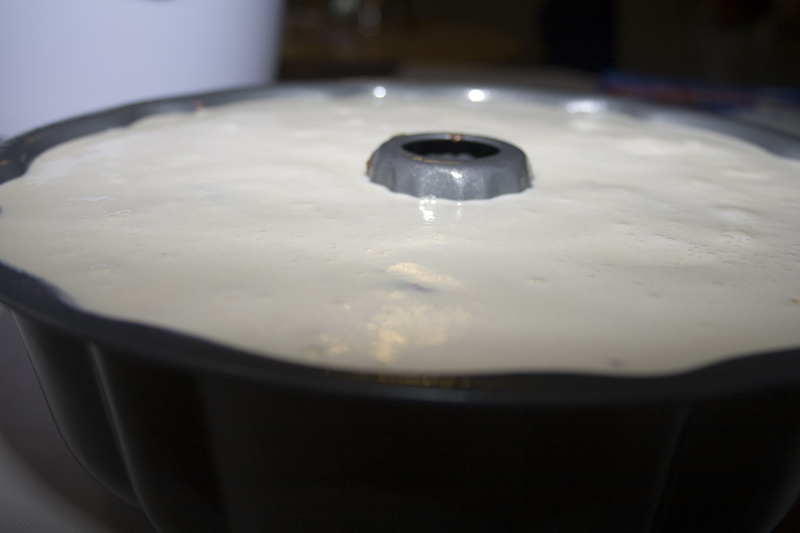 Pour the cake batter into the cake pan over the cajeta. To make the flan: Pour condensed, evaporated and fresh milks into a blender with the cream cheese, vanilla and eggs. Mix well. 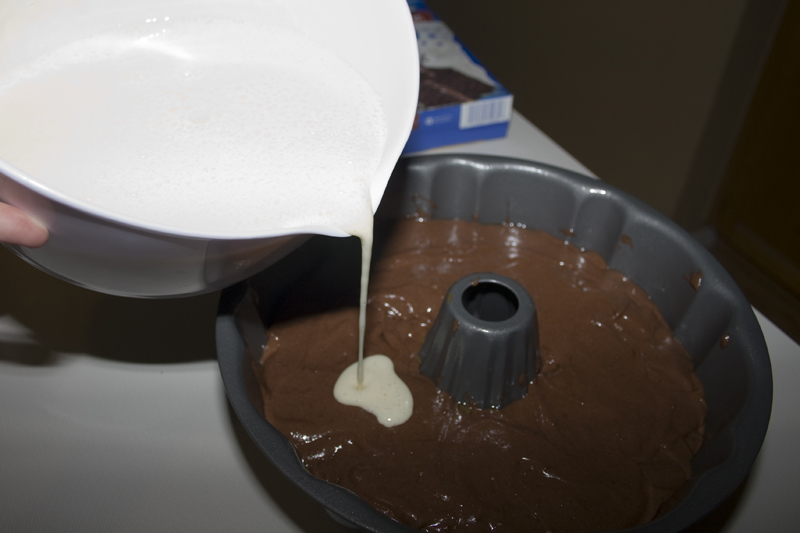 Pour the flan mixture very slowly over the cake batter. Spray aluminum foil with non-stick spray (like Pam);. Set the Bundt pan into a large pan and set on the oven rack and slide into the oven. Carefully pour hot water into the larger pan to a depth of 2 inches (The Bundt pan will be sitting in 2 inches of water). Bake cake for 2 hours (test); do not uncover during this time. 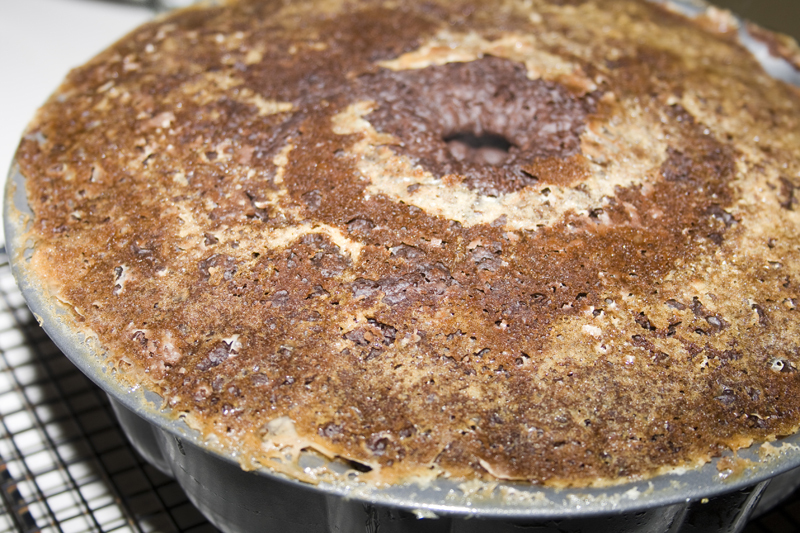 After two hours, remove cake from water and allow to cool for 15 minutes. Peel off the aluminum foil. Invert cake onto a large plate with rim. 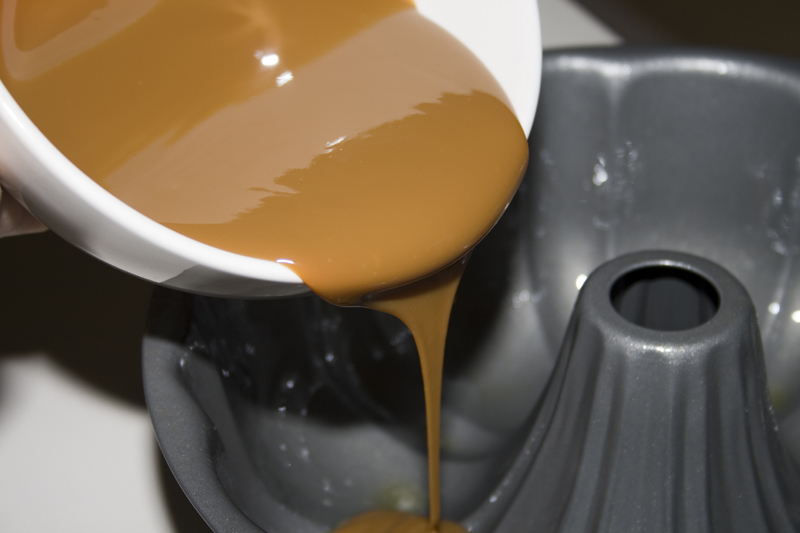 The cajeta will drip down the sides of the cake. Cool completely then refrigerate. Refrigerate leftovers. Note: Even though the flan is poured on top of the cake batter, it will sink to the bottom of the pan. Buenos días! Buona Giornata! I love when I can combine my two favorite ethnic flavors. Mexican and Italian. It is molto bene AND muy bueno! This Tex-Mex Lasagna is full of the flavors of your favorite Spanish meal, but made with lasagna noodles instead of tortillas! It is yum, yummy. It is easily turned vegetarian (if you aren’t a carnivore like me) and the whole family will gobble it up! Quick and easy to throw together too! Empanadas originated in Spain and eventually made their way around the world in various forms. The name comes from the verb empanar meaning to wrap in bread. Some countries fill the dough with meat, some with sweet fillings or vegetables. I decided to combine the standard fare of the midwest (BBQ) with the Spanish tradition of empanadas. Mmmmm. Tasty. I know, it’s not really a traditional Mexican food. But for many years I’ve made enchiladas or tacos on Cinco de Mayo and today I wanted a little something different.